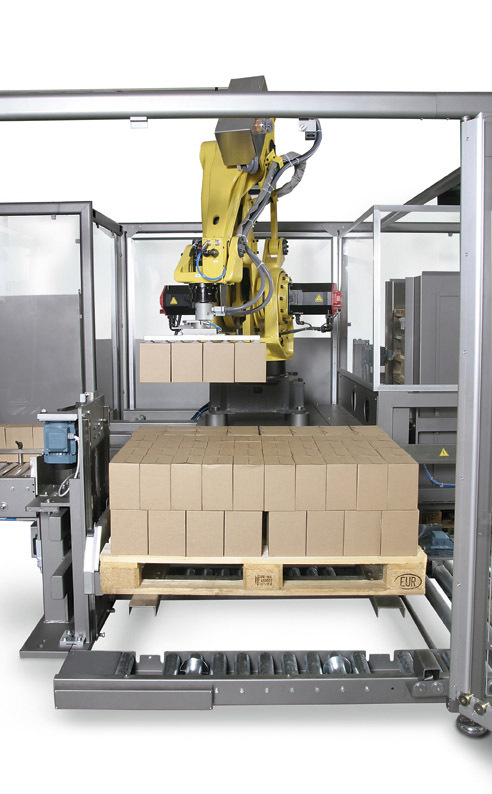 Built to deliver maximum productivity and efficiency, this latest-generation palletising solution offers exceptional flexibility. 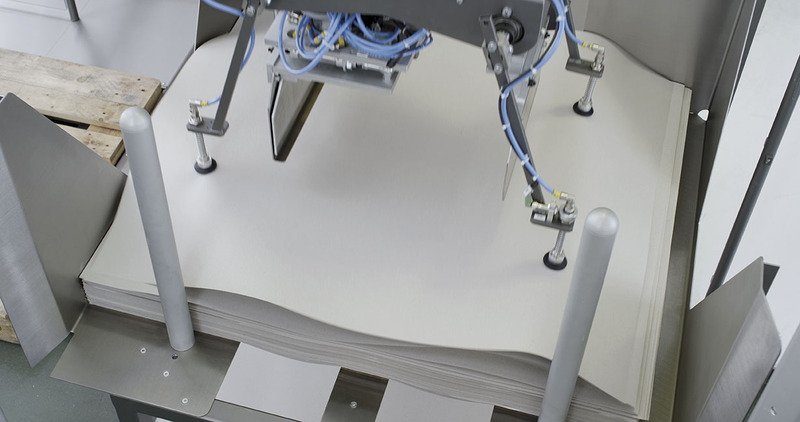 Based around a 4 or 6-axis robot which picks up incoming cases, ink-jet printing and labelling or weighing them, everything is carried out at high speed. 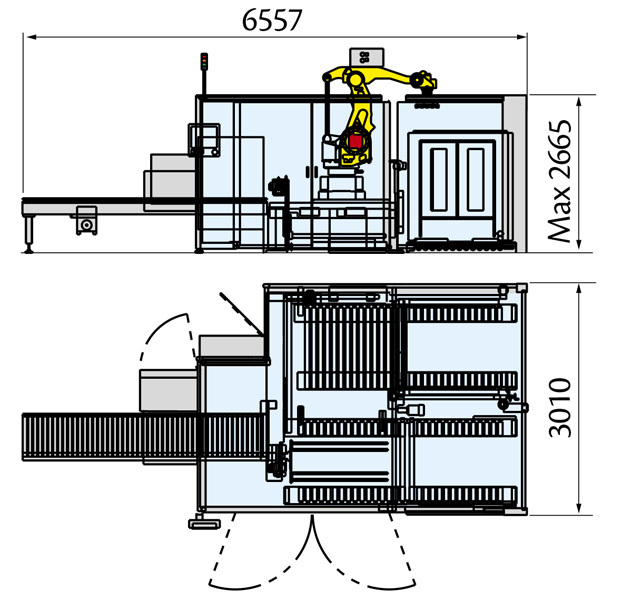 Cases are then placed on the pallet according to pre-set patterns memorised by the operator. 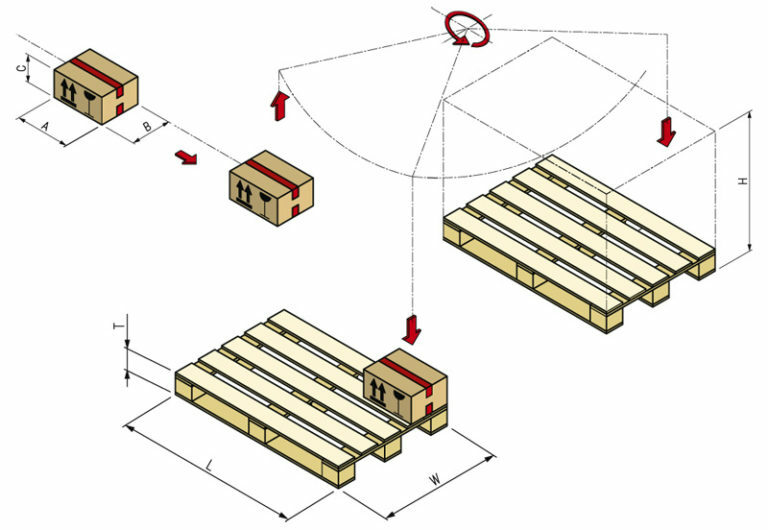 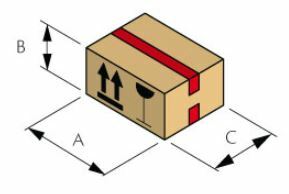 Modular design allows for customisation of the palletising section, whose dimensions are kept to a minimum. Large operator interface for fast changeover procedures and assistance with diagnostics. 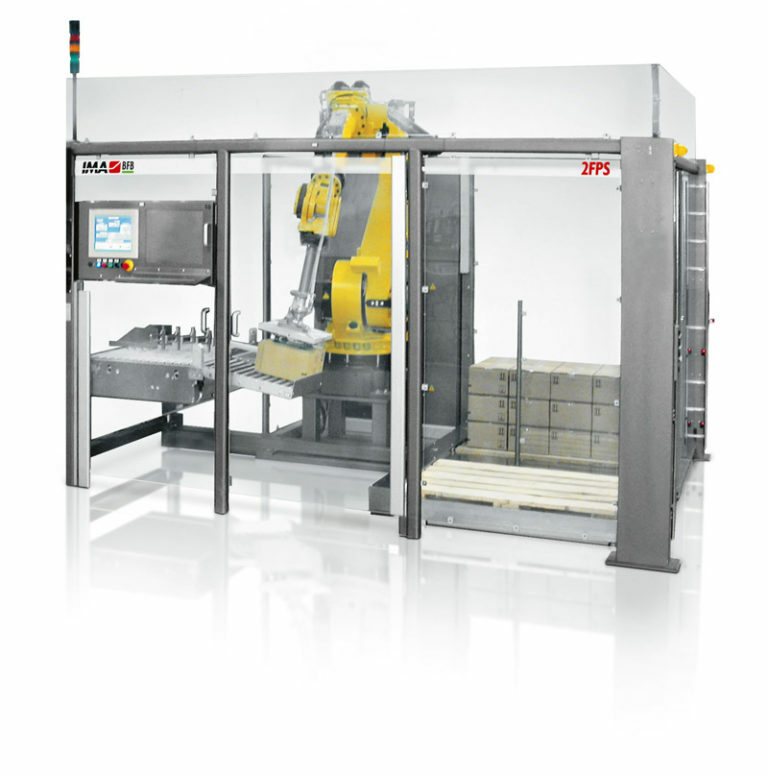 Can be supplied stand-alone unit or connected to an IMA side-loading case-packer, where space is available. 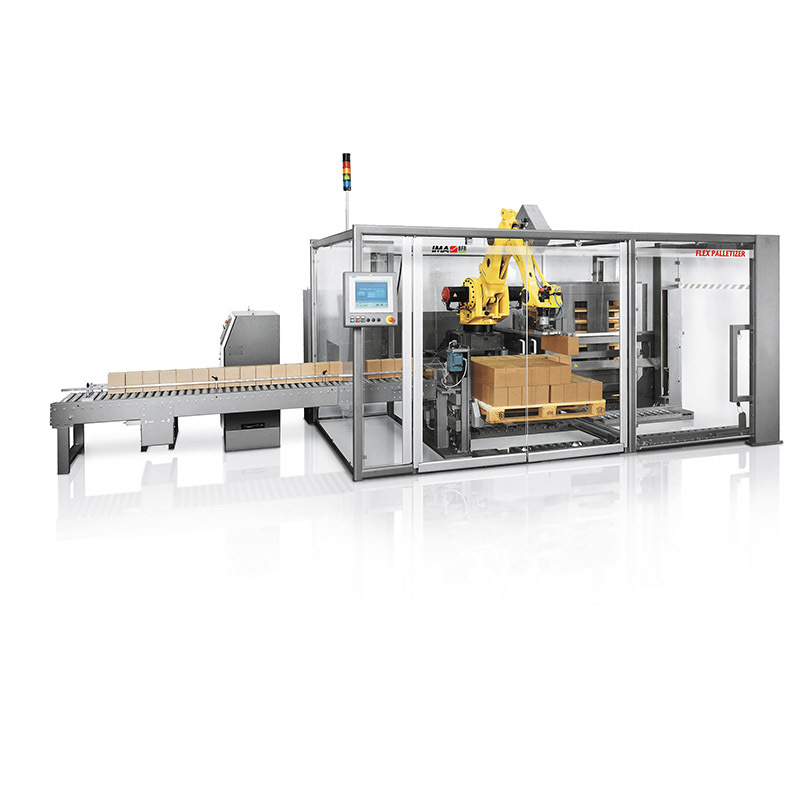 Automatic and extremely flexible palletizer with double floor pallet station suitable for handling American cases (RSC) or naked bundles, withdrawn by means of a six axes manipulator. 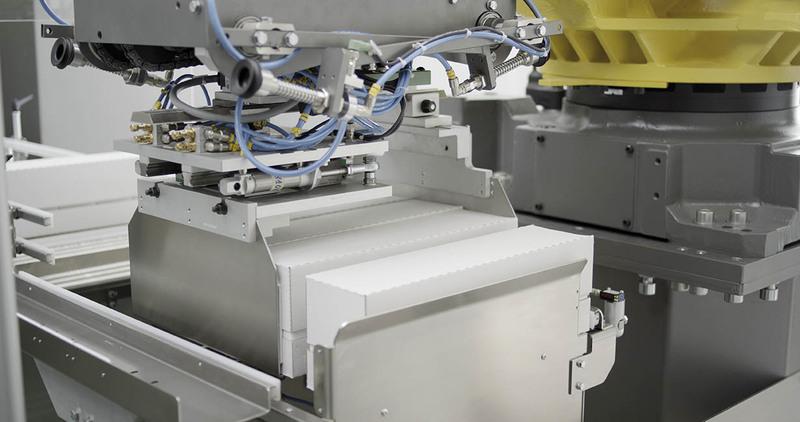 Products can be fed from single or multiple lines.